Are you looking to find Eagle Creek’s flowers? If you live in Northeast, Ohio or Western Pennsylvania, then there’s a good chance you can find us at a location near you. The fact is you can find our products in hundreds of locations and growing. So take a look at the map of our customers. Nothing sells better than quality. It’s even better when the plants sell themselves. We strive to make the best plant selections based on the balance between greenhouse performance as well as consumer performance in the garden. We utilize some of the best automation in the industry to keep our costs down and stay competitive in the market. 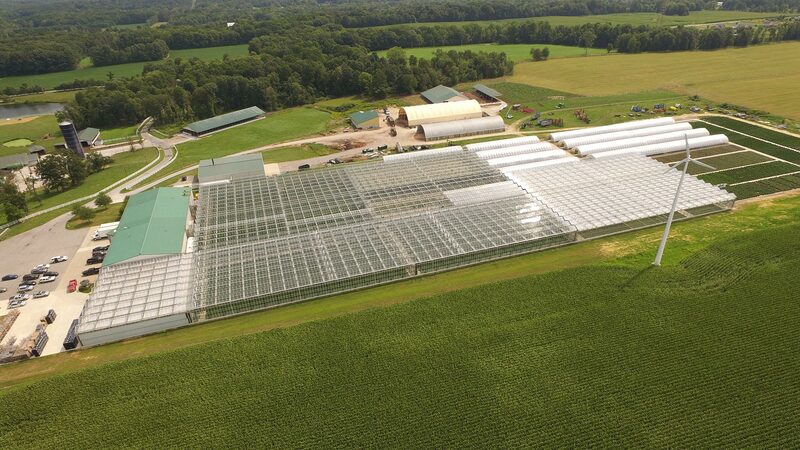 We utilize Booms, Echos, and Ebb-n-Flood floors to keep our product quality consistent as well as Priva environmental controls to keep our state-of-the-art greenhouses operating smoothly. We also propagate from unrooted cutting a large percentage of our plant materials to keep our input costs low. As a company, we continue to develop best practices for producing consistent quality products. We have an IPM (Integrated Pest Management) program in place and are using biological controls as well as beneficial insects. We strive to turn all orders around to our customers with 24-hours of receipt. We take great pride in our ability to deliver our products on-time and when our customers need it most. As 3rd generation horticultural business owners, we are fortunate to have access to a wide network of some of the best and brightest in the industry right here in Northeast Ohio. We are within an hour or two of some of the best trailblazers in the business, including Agrinomix, BFG Supply, Dillen Products, Green Circle Growers, Great Lakes Growers, Express Seed Company, Jiffy, A-Roo and Oasis to name a few. This proximity to some of the best plants, seed, containers, growing supplies and automation companies in the industry allow Eagle Creek to keep input costs low.